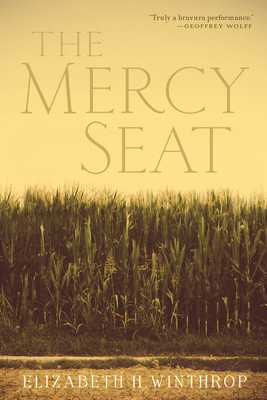 The Mercy Seat (Hardcover) | Fountain Bookstore, Inc.
"One of the finest writers of her generation" (Brad Watson), and author of three previously acclaimed novels, Elizabeth H. Winthrop delivers a brave new book that will launch her distinguished career anew. An incisive, meticulously crafted portrait of race, racism, and injustice in the Jim Crow era South that is as intimate and tense as a stage drama, The Mercy Seat is a stunning account of one town's foundering over a trauma in their midst. On the eve of his execution, eighteen year old Willie Jones sits in his cell in New Iberia awaiting his end. Across the state, a truck driven by a convict and his keeper carries the executioner's chair closer. On a nearby highway, Willie's father Frank lugs a gravestone on the back of his fading, old mule. In his office the DA who prosecuted Willie reckons with his sentencing, while at their gas station at the crossroads outside of town, married couple Ora and Dale grapple with their grief and their secrets. As various members of the township consider and reflect on what Willie's execution means, an intricately layered and complex portrait of a Jim Crow era Southern community emerges. Moving from voice to voice, Winthrop elegantly brings to stark light the story of a town, its people, and its injustices. The Mercy Seat is a brutally incisive and tender novel from one of our most acute literary observers.